We have been pretty much up to our ears in EVA, extravehicular activity or spacewalking, preparations and then spacewalking! 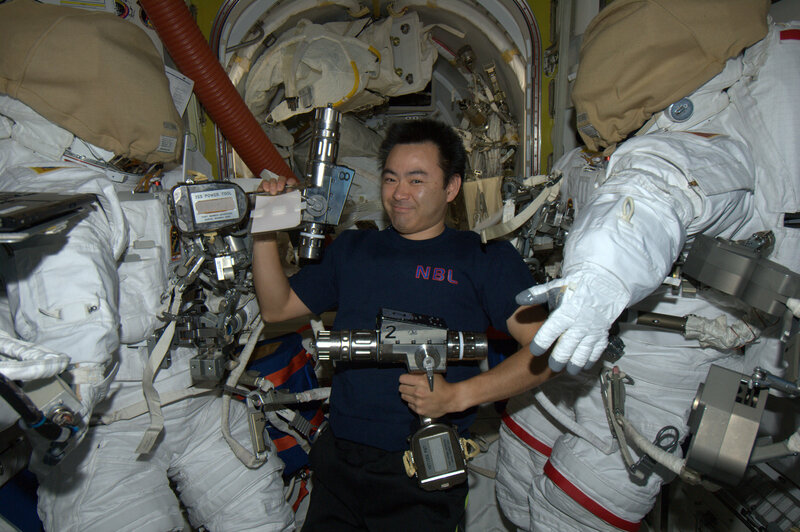 I think most of you know we had a spacewalk using the robotic arm Thursday, August 30th. It went sort of long. You don’t just “go outside.” Usually that is the fun and easy part of the entire thing. The days leading up to the EVA are the intense days with battery charging, METOX (CO2 removal cartridge) regenerations, suit sizing, tool gathering and preparation, equipment gathering and preparations, studying new procedures, reviewing and talking through how to get us suited and how to get the airlock depressed, reviewing the tasks we will do with each other and with the robotic arm, talking about cleaning up, and then talking thru a plan to get back into the airlock, and any emergencies that can come up – loss of communications, suit issues, etc. Yes, that took a lot of our time leading up to Thursday last week. Even planning when to go to sleep and what to eat are important. 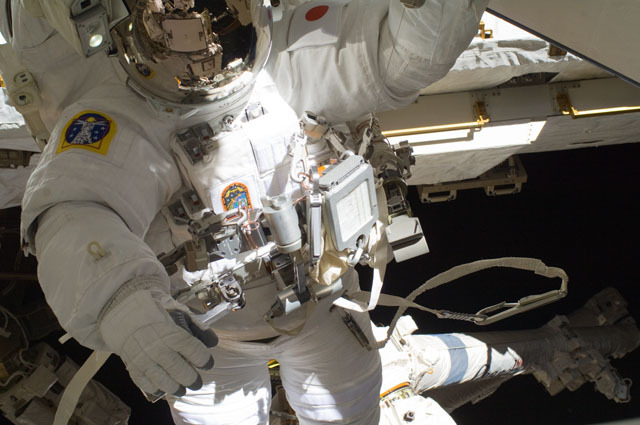 Remember, you are in that suit usually about 8 hours for a 6 hour EVA. To my surprise, the most intense part for this EVA happened to be outside when we encountered our “sticky” bolt. That resulted in a long EVA, and over 10 hours in the suit. No bathroom and no lunch. One lesson I learned last time I was up here – you can’t get married to a plan. It seems like something you thought was going to be difficult turns out to be easy, and something you thought was going to be easy turns out to be hard. Why that is, who knows. It’s like when you are jogging on a lonely road, somehow cars going the opposite direction cross each other just when you are jogging next to them and there is a biker passing you. Why? Who knows! That was the case with the “sticky bolt.” We thought that part of the EVA was going to be easy – it ended up taking most of our time. One thing we sort of forget about is the environment outside when we are working inside, most of the time. We get used to this being a “static” environment – watching the world go by. Well, it isn’t. Space is busy, active and unkind. It gets really hot and cold outside. There are solar flares (makes nice auroras, but is radiation), solar wind and vacuum. All this does a number on a spacecraft, and on us. 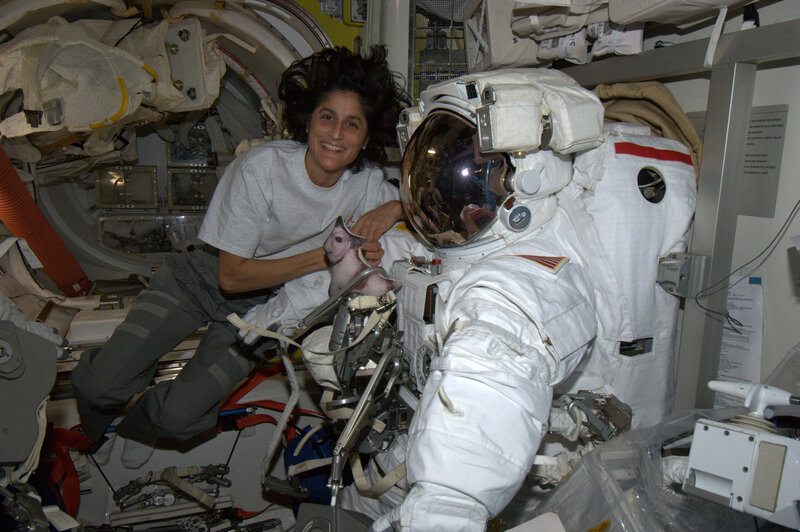 It is amazing how you feel the sun set and rise through your spacesuit – even with your eyes closed you would know it – you can feel the heating change! The same goes for all the material on the “outside” of the station – the metal in those bolts have probably “felt” the changes in the environment too – for the last 10 years. The station has been thru a lot of heat cycles when you consider 16 day/night cycles in a 24-hour period. 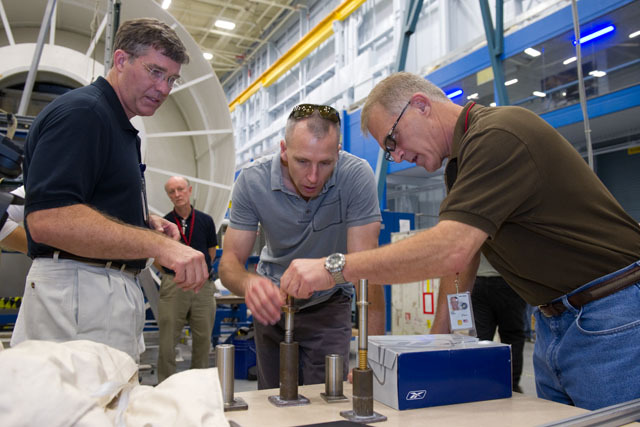 After Thursday’s “experimentation with torque and bolt turns,” a ton of folks at JSC started working on a plan for the “next” EVA for us to go out and try again to move the bolt and install our box. They have been working all weekend and as a result we have learned some of the nuances of the mechanism that we weren’t aware of…so we are a lot smarter on how the bolt aligns and reacts. They have given us a pretty inclusive plan on how to try to work it again, probably on Wednesday. We have been making tools to use outside to get the bolt and the housing ready to try again. Lots of folks suggested that WD40 would do the trick, but getting a can of that stuff to work in space is sort of difficult. So, we have a couple other tricks up our sleeve. Tune in on Wednesday and check us out – we are taking a lubricant – chemically inert, non-flammable – in this environment. It worked to help the Solar Array Rotary Joint work better, so hopefully it will work to get this bolt installed! I have to add, in case you were wondering, this isn’t just some sticky bolt either. It connects a box that routes 25% of the power that comes to the station from our Solar Arrays. So, a large amount of juice from the sun is not getting to us in this situation. To add a little salt into the wound, we actually lost another part of a power channel Saturday night – a tripped circuit breaker way upstream toward the solar array. So it has to share its load with the other solar arrays too. In NASA lingo, we are getting close to “zero fault tolerant” – meaning no backups – on some of the stuff we power up. So, it would be good if the box (power switching unit) with the sticky bolt got installed.Aki and I are out the door Wednesday morning.